– Overall FPS has improved 50 percent. Thanks Crayon. – Lots of other small GUI changes. – Mixed the weapon fire mode a little bit more! – Nuke is 500 dollar cheaper! – Increase http buffer size to 10Kb. – Added inline source code remarks in javadoc style. – Use Doxygen (windows tool) to create HTML source code documentation. – Use GrrLib 4.2.1 BETA library (Now native FreeType support available). – Added improve score calculation. – Added extra help screen. – Improve webservice call to store high score. – Added support for 60HZ (640×480) TV mode. – Use libogc 1.8.1 library as Wii interface engine. – Use GRRLIB v4.2.0 as graphical engine. 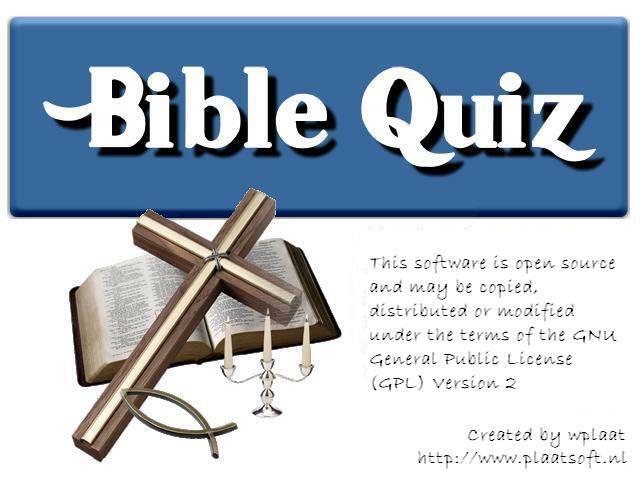 This evening BibleQuiz 0.94 is released by PlaatSoft. – Added win screen if player wins all levels.